Japanese inspired restaurant with a Latin Flair! This unique projects consists of more than 400 square meters of open space to create a unique dinning experience. Influences from both Japanese and Latin cultures where the source of inspiration for this project. 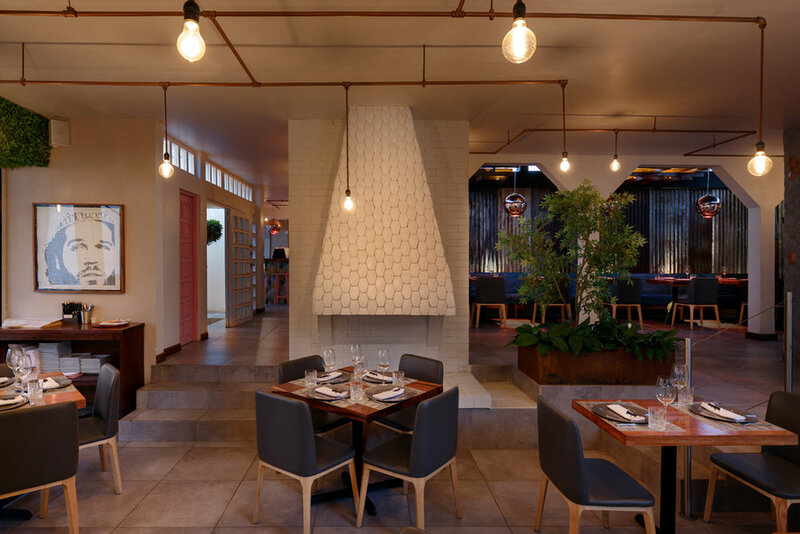 The colourful artisanal concrete tiles represent both Japanese Food and Latin Culture! 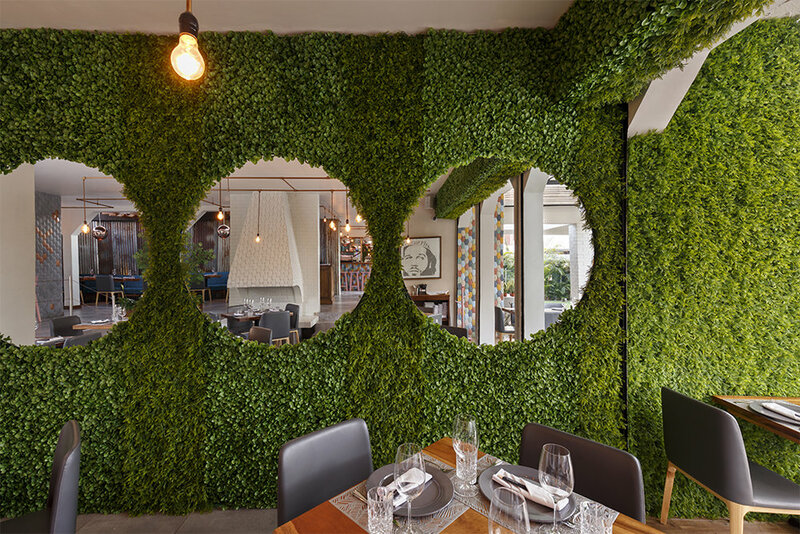 The use of unexpected materials and colors through the space makes this restaurant a must on your next visit to Guatemala City! Concrete Floors, Metal Rusted Finishes, Japanese Lines and Scandinavian Furniture makes this a fun a relaxing atmosphere. 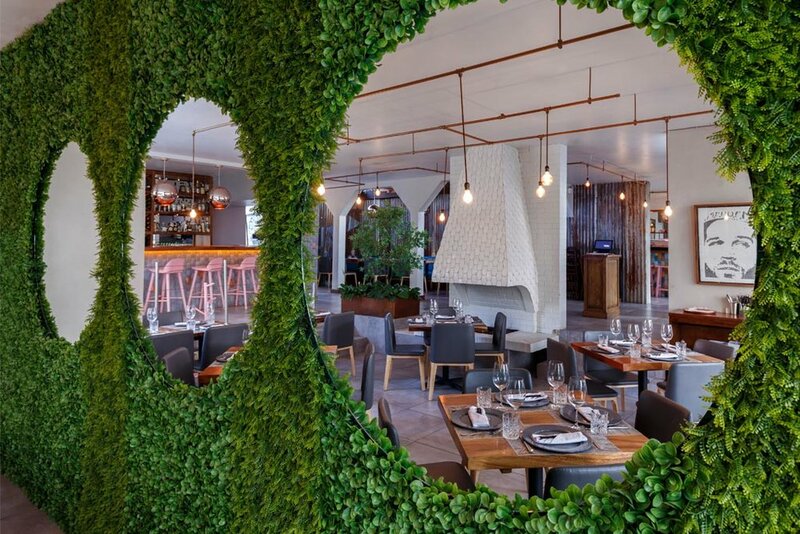 The space consists of two main areas the amazing lush gardens with an industrial pergola and the interiors which consists of a Sushi Bar, Cocktail Bar and Main Dinning floor, with an open space that blends with the gardens. Main Dinning Nokiate Restaurant. Green Walls Reflect the flakes that cover the central fireplace.